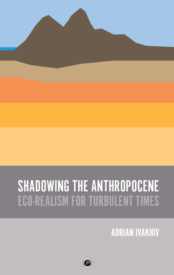 Shadowing the Anthropocene: Eco-Realism for Turbulent Times arrived in the mail today. It’s published by punctum books, an open-access academic and para-academic publisher I’ve found to be a real delight to work with. Eileen Joy deserves a medal for her leadership of punctum, and Vincent W.J. van Gerven Oei’s cover and book design is beautiful. The book can be purchased in print for $22 from the publisher’s web site (it honestly feels very nice to hold in your hands), or you can “pay what you can” ($5 minimum) for a PDF. Since the book presents some challenging reading to the non-philosophically inclined, I will be posting a “reader’s guide” soon. congrats AI looking forward to this one and thanks for going with Punctum, Eileen is truly a joy. There are certainly numerous particulars like that to take into consideration. That could be a nice level to convey up. I offer the ideas above as common inspiration but clearly there are questions like the one you bring up the place crucial thing will likely be working in sincere good faith. I don?t know if greatest practices have emerged around issues like that, but I am certain that your job is clearly recognized as a good game. Each girls and boys really feel the impression of just a second’s pleasure, for the remainder of their lives. A spectre is haunting humanity: the spectre of a reality that will outwit and, in the end, bury us.